American novelist, short story writer and poet, internationally known for his novels RABBIT, RUN (1960), RABBIT REDUX (1971), RABBIT IS RICH (1981), and RABBIT AT REST (1990). They follow the life Harry "Rabbit" Angstrom, a star athlete, from his youth through the social and sexual upheavals of the 1960s, to later periods of his life, and to final decline. Updike's oeuvre has been large, consisting novels, collections of poems, short stories, and essays. He has written much criticism. Among the writers whose works he has reviewed are such names as Philip Roth, Saul Bellow, Kurt Vonnegut, Joyce Carol Oates, Iris Murdoch, Michael Tournier, Raymond Queneau, Umberto Eco, Milan Kundera, Evgenii Evtushenko, Gabriel Garcia Marquez, Mario Vargas Llosa, and Isabel Allende. 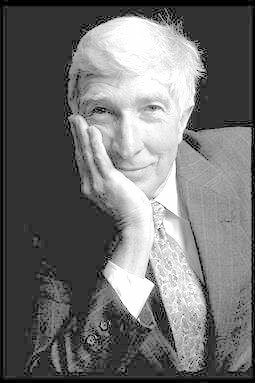 John Updike was born in Shillington, a small town in Pennsylvania, the model of his fictional towns of Olinger and Brewer. Updike's childhood was shadowed by psoriasis and stammering, but his mother encouraged him to write. In his childhood he lived in an isolated farm, from where he dreamed to escape. He consumed books by Erle Stanley Gardner, Ellery Queen, Agatha Christie, John Dickson Carr, and P. G. Wodehouse. Dead authors depressed him. "My inability to read bravely as a boy had this advantage: when I went to college, I was a true tabula rasa, and received gratefully the imprint of my instructors' opinion, and got good marks." (from New York Times, July 4, 1965) Updike chose Harvard as his university because it was the location of the Harvard Lampoon. After high school in Shillington, where his father worked as a science teacher, Upton attended Harvard. He majored in English in 1954, and contributed to and later edited the Harvad Lampoon. He spent with his wife Mary Pennington the academic year 1954-1955 at Ruskin School of Drawing and Fine Arts in Oxford, England. ("A soggy little island huffing and puffing to keep up with Western Europe." from Picked Up Pieces, 1975) In 1955 he joined The New Yorker staff, writing editorials, poetry, stories, and criticism. After the author's first marriage dissolved, he married in 1977 Martha Bernhard. THE CENTAUR (1963) used a mythological framework to explore the relationship of a schoolmaster father and his son. THE COUP (1979) was an exotic first-person narration by an ex-dictator of a fictitious African state. In 2000 appeared Updike's prequel to Hamlet, in which the moody prince is not the central character but the story focuses on his mother Queen Gertrude, her husband, and Claudius, her husband's younger brother. "The bankrupt man buys himself a motorcycle. He is going to hotdig it all the way to Santa Barbara and back. He has a bankrupt sister in Santa Barbara. Also, there are business details to be cleared up along the way, in Pittsburgh, South Bend, Dodge City, Santa Fe, and Palm Springs. Being bankrupt is an expansionist process; it generates even new horizons." The majority of Updike's nonfiction has been occasional, and he considers the opportunity to produce reviews educational for himself, 'for writing educates the writer as it goes along.' Or: 'My purpose in reading has ever secretly been not to come and judge but to come and steal.' In his critics Updike's measures the works with traditional maxims: felicity in style, accuracy in presenting one's subject, precision in describing external and inner world, and humanistic values. Updike have received several awards, among them Guggenheim Fellow (1959), Rosenthal Award, National Institute of Arts and Letters (1959), National Book Award in Fiction (1964), O. Henry Prize (1967-68), American Book Award (1982), National Book Critics Circle Award, for fiction (1982, 1990), Union League Club Abraham Lincoln Award (1982), National Arts Club Medal of Honor (1984); National Medal of the Arts (1989). In 1976 he became a member of American Academy of Arts and Letters. Updike's novels Rabbit is Rich and Rabbit at Rest won Pulitzer Prices. After Updike laid Rabbit Angstrom to rest, his alter ego, Jewish American novelist Harry Bech, is still on the literary scene.